Vaporizers have gone a long way since they were discovered or should I say the concept of vaporization was practised back in the 5th century in Egypt according to the book “The History of Herodotus”. From the Scythians who took hemp seeds and throw them into some red-hot stones to enjoy the vapor to the hookah or waterpipe 1500 years ago. Then there’s Joseph Robinson in 1927, who patented the idea of the first electronic cigarette, to a Korean war veteran Herbert Gilbert, whose patent for a smokeless non-tobacco cigarette was approved in 1960. Fast forward to the 90s, Eagle Bill made the “shake and vape” a glass pipe vaporizer. And in 2000, a Chinese pharmacist Hon Lik came up with the modern day vape inspired by a dream. 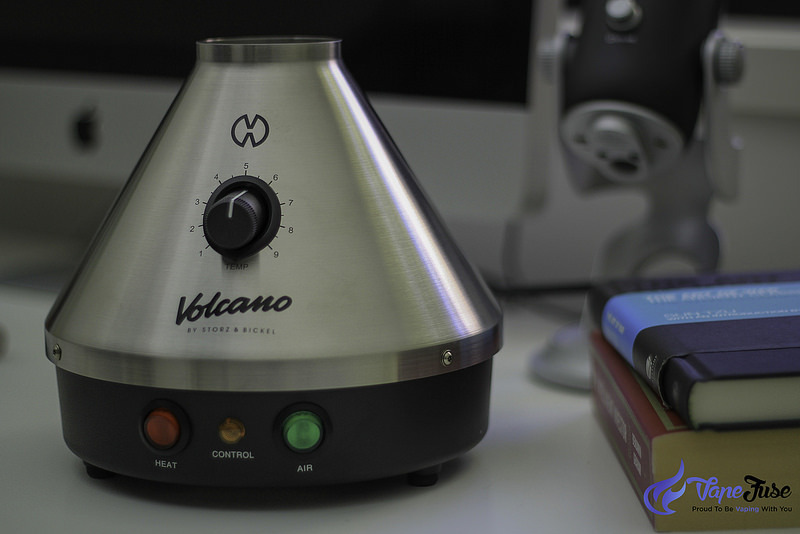 In the same year, the now famous Volcano Desktop Vaporizer was invented by the German maker, Storz & Bickel. 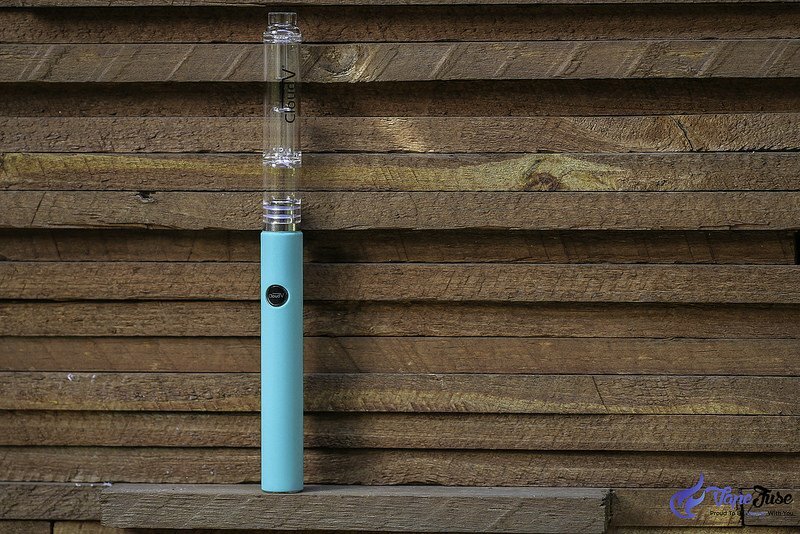 That is just a quick rundown of the history of vaporizers if you want to dig deeper into that, check out How Vaporizers Work, our in-depth story on vaporizers. In today’s modern times, vaping has become a chic and trendy thing, that it has even invaded social gatherings in places where it is legal and an accepted practise. But that’s no wonder because, for one thing, it doesn’t produce that irritating smokey or burnt smell that sticks to your fingers and clothes (eww :-)), no burning effect, not to forget no unhealthy by-products of smoking and what about that huge white cloud! Now that sounds like fun! Simply put, this is the amount of air that goes into your vaporizer and into the chamber. A good airflow design helps produce high-quality vapor. More air means lower resistance, so you’re getting thinner vapor (smaller clouds) and you’ll get a slight dip in flavor. Lesser air allowance will give you thicker vapor (more clouds), more flavor and higher draw resistance. A good airflow system in a form of air holes will also keep the heating element from overheating. Regulating the amount of air that goes into the device to meet your desired vapor outcome takes practise. So keep practising until you master this side of vaporizing. Also, important to note, that the draw resistance is given with some vaporizers, so you can’t adjust the airflow on them. For example the Arizer Solo and the Arizer Air, they both come with high resistance and you cannot really control it. 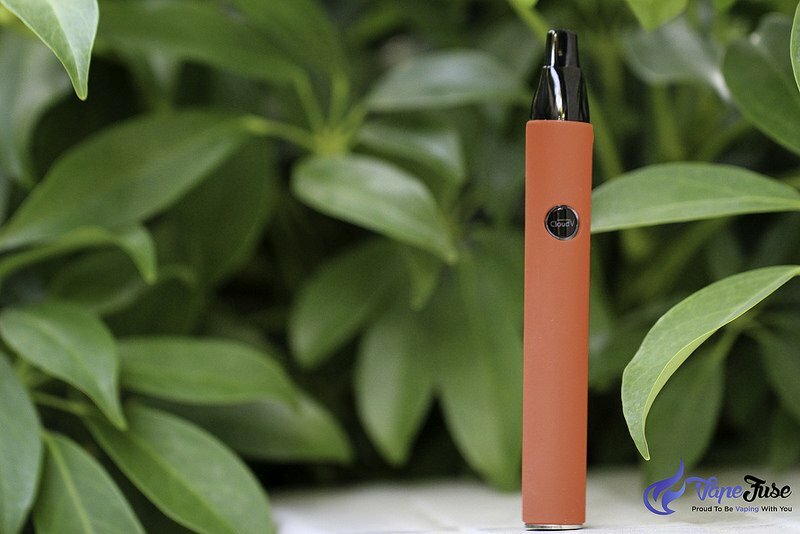 There are also vaporizers, such as the Flowermate vapes, which come with adjustable airflow, however even if you set the airflow up for the highest level of resistance, it’s still very low and you are getting thinner vapor. This is a water tool, usually made of glass that is put on top of the chamber with or without an adapter depending on the vaporizer brand, and comes in different designs. Aqua Bubbler acts as a water filtration device for vapor to pass through to make it cooler and adds moisture, so vapor becomes way smoother and soothing before entering your mouth. For people who are sensitive to dry herbal vaping, this is a great accessory to add to their device to reduce the temperature and dryness of vapor. A special high-quality type of glass, that has a very low chance of expanding with any sudden change in temperature. Glass is also non-reactive component, making it an ideal material for the vaporizer to maintain that clean, pure aroma of vapor that passes through. Vaporizers with glass mouthpieces mainly use borosilicate glass to ensure user safety and for that clean glass draw. Desktop vaporizers can either come with whip or balloon method of inhalation or both. A balloon method of inhalation utilizes a food grade plastic, made of polyester, called balloon bag, which is tied on one end and the other end comes with a mouthpiece. This is then attached to the device and with the use of force air technology, the balloon bag gets filled up with vapor ready for you to inhale and enjoy. The balloon bag can store the vapor up to 10 minutes or so. This method allows you to enjoy your vapor comfortably at your own convenience without having to carry your desktop vaporizer. 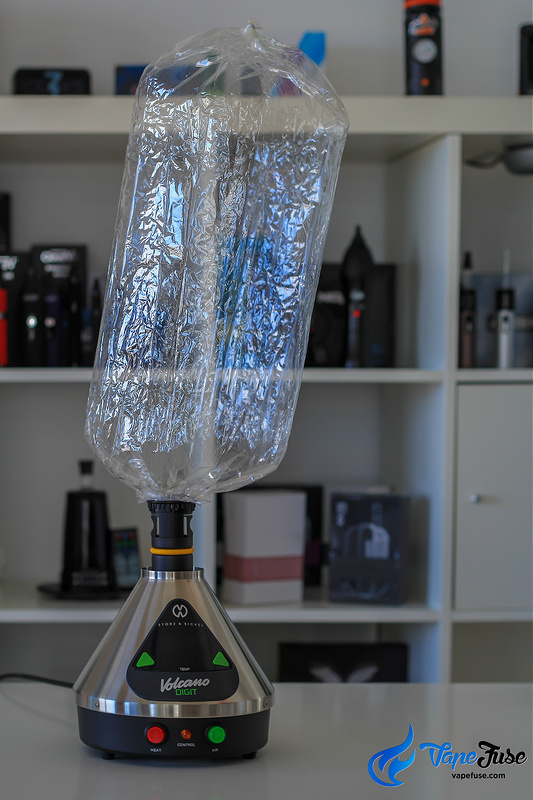 If you are looking for any recommendations on what balloon desktop vaporizer is the best in the market today? We definitely vouch for the Volcano desktop vaporizer, being the Rolls Royce of the vaping industry. It is a bit pricey but as we all know, quality comes with a price when it comes to vaporizers. You can check out other balloon desktop vaporizers here. Simply means the battery is integrated into the device and is not removable. 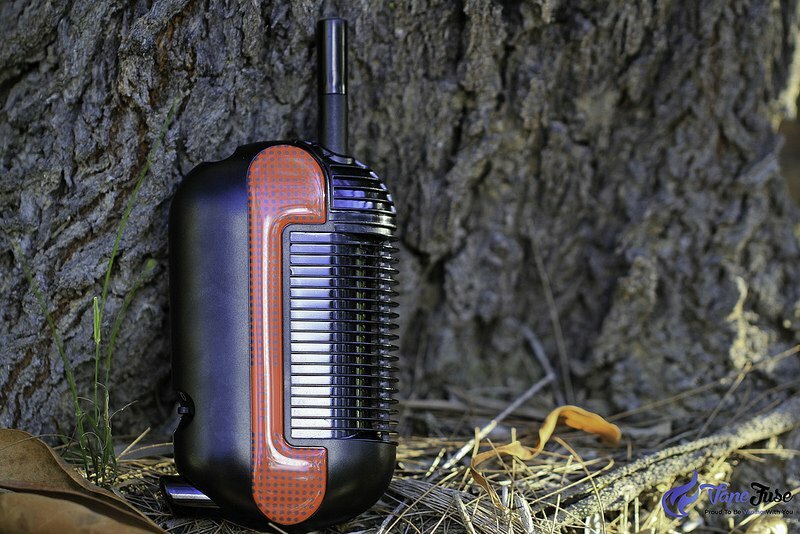 Portable vaporizers can either come with a removable battery or a built-in one. 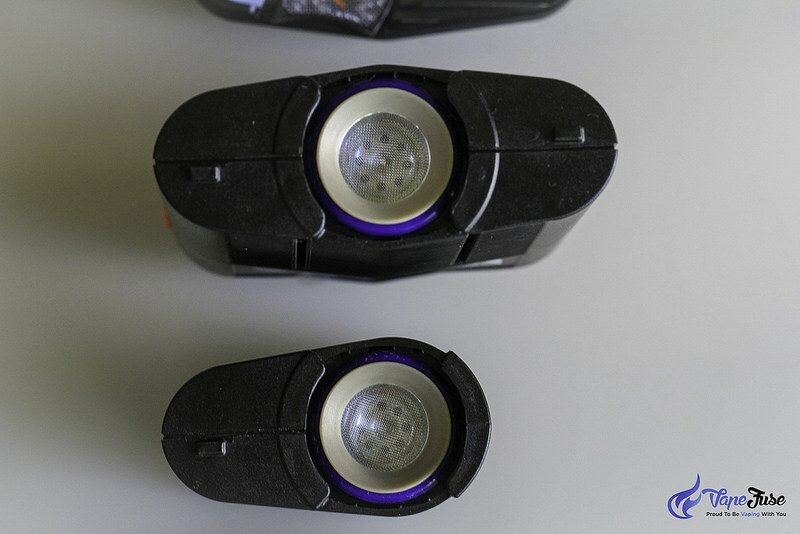 What’s great about the built-in type of batteries is, you don’t have to deal with battery cover being loose or broken. When the battery gets empty you just connect it to a USB or wall charger. Some of these devices allow users to use it even while charging, otherwise known as pass-through charging capability. The disadvantage though of built-in battery is when the battery dies or it is no longer usable. In this case, you need to replace the whole device. But don’t worry, these batteries are built to last long, so when that time comes, you’d probably enjoy your device to your heart’s content already. 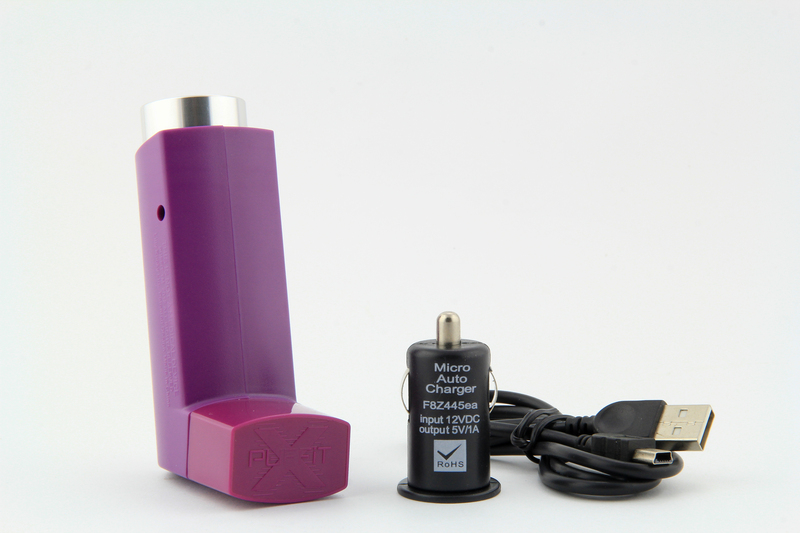 A handy accessory to charge your portable vaporizer while you are in the car. With all the progress and development of which we live in, traffic is inevitable and at times you get stuck on the road for so long. 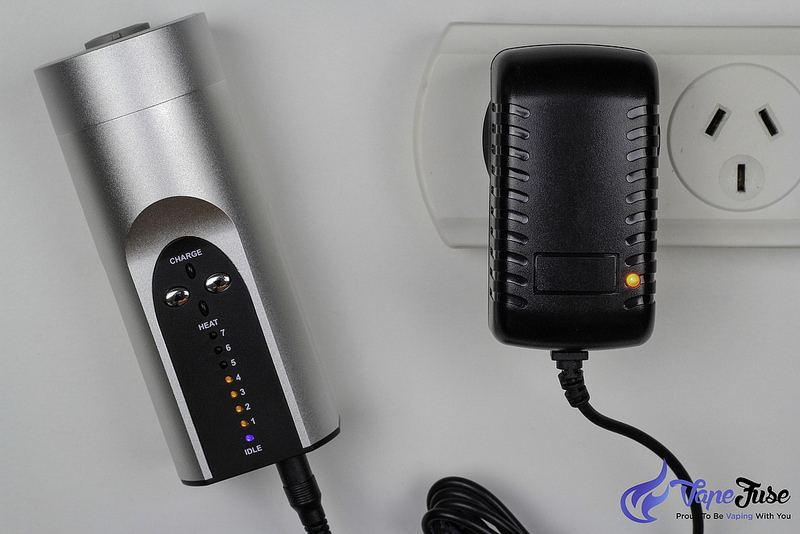 Make sure you have your vaporizer’s car charger to ensure it is powered up. So grab your 12v car charger now for your Arizer Solo or Storz & Bickel Mighty & Crafty to mention a few popular vaper’s choice. A bag or container to keep your device safe and in one place, ready to be carried with you anytime, anywhere. Your vaporizer is a precious gadget just like your smartphone. So surely you wouldn’t want some of your vape’s accessories like the cleaning tool or the screen wandering or hanging around somewhere, while your device is in your pocket. Make sure you have a carrying case for your device and all its accessories. 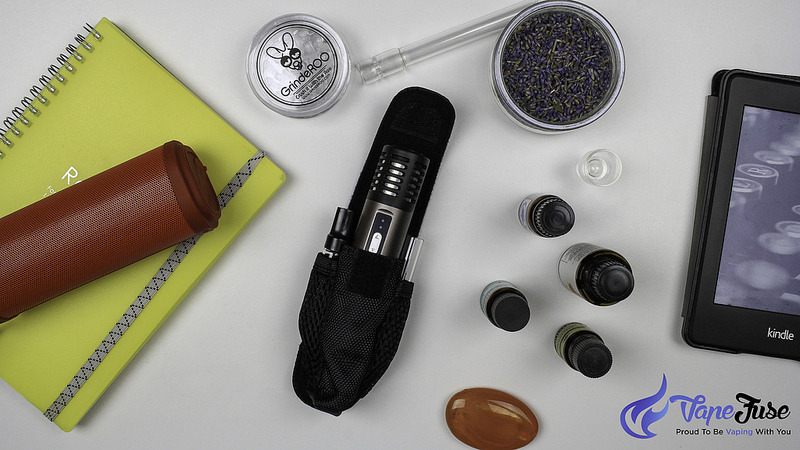 A few portable vaporizers that include a carrying case in the kit are Arizer Air and Iolite vaporizer. You can also get a case for the Vapir Prima portable vaporizer that can be purchased separately. Ceramic is the most used material for many vaporizers. Ceramic is a non-reactive element, which means it doesn’t give off unpleasant smell or chemical when exposed to high temperature. The Arizer vaporizers all come with ceramic heating element backed by a lifetime warranty. This is where your material sits during vaporization, also known as the bowl. Chamber size varies by vaporizers and can come in different materials like ceramic, stainless steel, glass or aluminum. It may have either a conduction or convection heating method while some can have both. The screen is an important part of a vaporizer. It is one of the essentials in the vaporizing process. It mainly works to keep the herb in place and stay where it should be and also plays a part in the airflow system of the vaporizer. Screens have different designs. A coarse screen has bigger holes and made of stainless steel. This type of screen is great for dry herbs that are not too finely grounded. For instance, Storz & Bickel uses this type of screens in their product line of vaporizers. Combustion is a chemical reaction where substances mix with an element like oxygen to produce heat. In Layman’s term, combustion is burning. It is part of our daily life like in cooking and when we use our car and of course for many people in smoking cigarette. Combustion occurs at high temperatures. 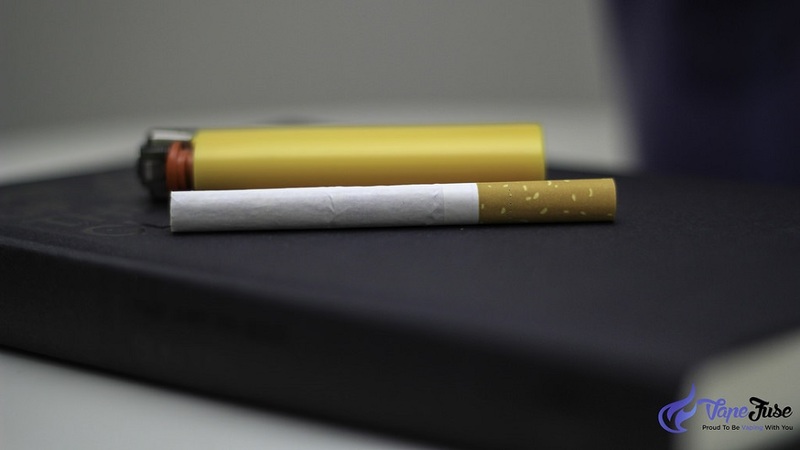 In cigarette smoking, the burning tip of the cigarette gets up to 900 Celsius (1650 Fahrenheit) while drawing a puff on it, and sits at around 400 Celsius (750 Fahrenheit) in between puffs. And the leftover of tobacco combustion is ash and smoke and don’t forget the unpleasant odour that sticks on fingers, skin and clothes. This is the process of heat transfer between substances that are in direct contact with each other. For instance, cooking on a stove. The heat from the fire of the stove is transferred to the base of cookware and anything that sits at the base gets cooked. 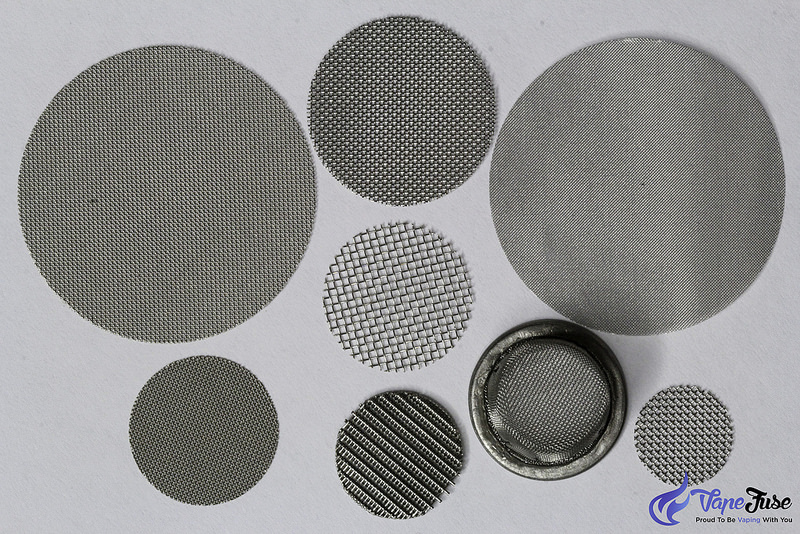 In the same manner, the conduction method of heat transfer is applied in vaporizers. Dry herbs have to come in direct contact with the heated walls of the chamber to heat up and produce vapor. However, this process can cause uneven vaporization of your dry herbs as only the material that touches the heated wall of the chamber gets vaporized. Therefore, the user will have to shake the material inside the chamber to vaporize the materials evenly. Caution is required when doing this as the chamber is hot. What’s great though about this type of vape is, it’s cheaper due to the less complicated design it requires. 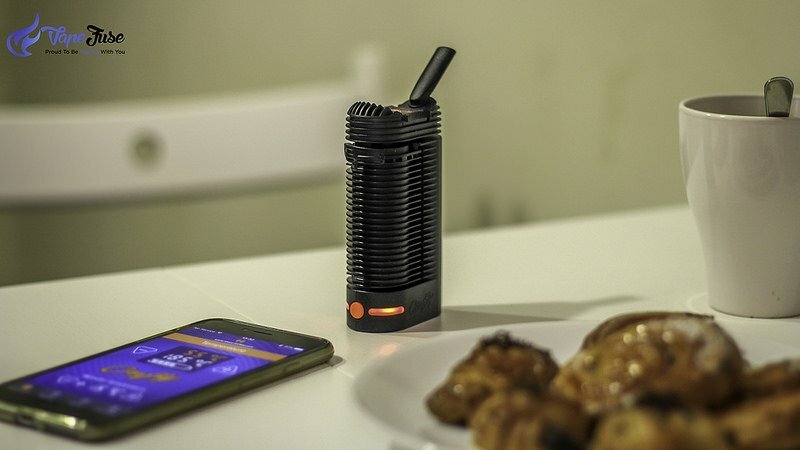 Employing this heating technique are the PUFFiT 2 and Iolite portable vaporizers. Convection is another heating method where thermal energy is transferred from hot places to cold places. When applied to vaporizers, convection works by heating up the chamber and with air coming from a built-in fan or air holes of the device, hot air is generated and circulated within the materials in the chamber leaving no herbs un-vaporized. This is the most preferred method by vapers due to its effective vaporization process. From the term itself, desktop meaning meant to be put on top of a desk or table. Desktop vaporizers are stationary devices that are big and heavy and not something that you can just carry around to vape. They come in different designs, sizes, and finishes and definitely make a beautiful addition to your tabletop. 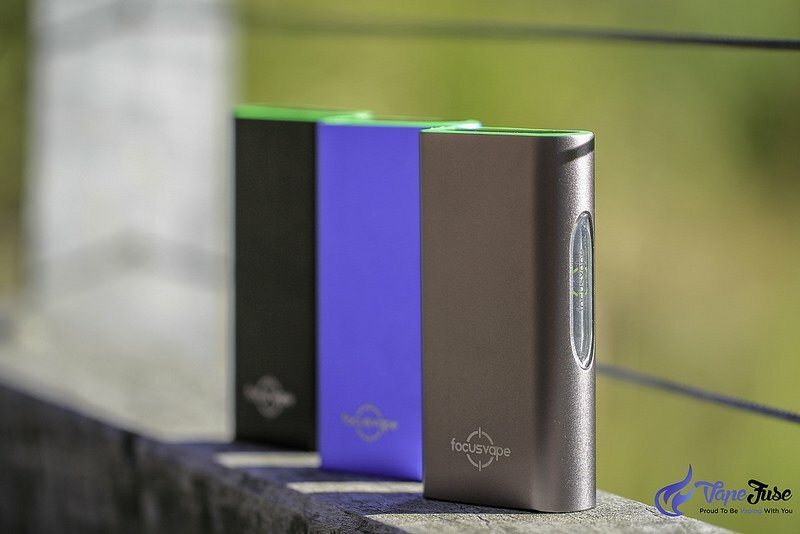 These devices produce high-quality vapor being bigger and packed with the most advanced sophisticated technology, not limited by space like in a portable vaporizer and power source that comes directly from the mains power supply. With that stable power source, you also enjoy longer sessions either alone or with loved ones or with friends. These are little containers or cans that you can fill with your materials instead of loading directly into the chamber. Most are made of aluminium alloy and very easy to use. One great thing about dosing capsule is that you can buy a couple of these and pre-load them with your favorite blend for later use. Using a dosing capsule for your materials keeps your chamber clean and you also keep track of your doses if you are monitoring your intake. Swapping dosing capsules in the chamber is also a breeze and very convenient, especially if you are out and about. 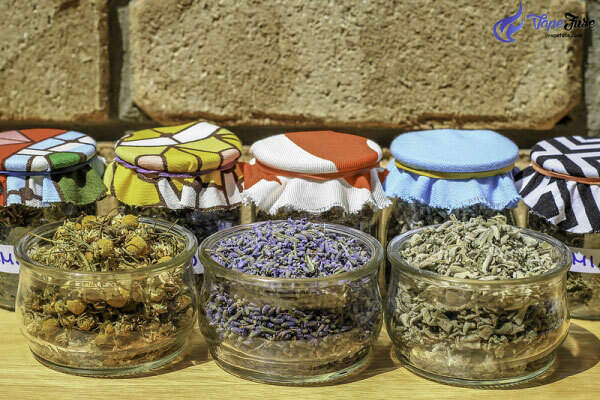 These are plants, leaves or flowers that had been dried to preserve their healing properties for later use in a form of tea, infuse into cooking or to vaporize. Herbs have been used for centuries for their healing properties and in this modern times, that has not changed. In the light of staying healthy and getting remedies the natural way, dry herbs had become a part of every home. Drying is a way of preserving the beneficial components of plant herbs. It is an economical process that also keeps the herbs safe from any bacteria, mould and yeast, and preserves potency for at least 6 to 12 months. 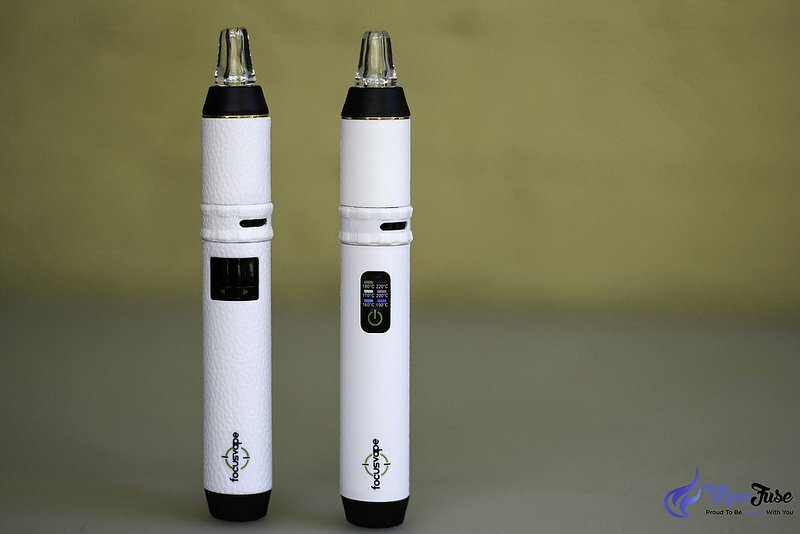 A dual chamber vaporizer is one that comes with two bowls for filling, either with dry blend or liquid materials. One and so far the only vaporizer that comes with this feature is the Haze Vaporizer. Aside from having two (2) chambers, it also allows the user to heat the materials either by conduction or convection methods. 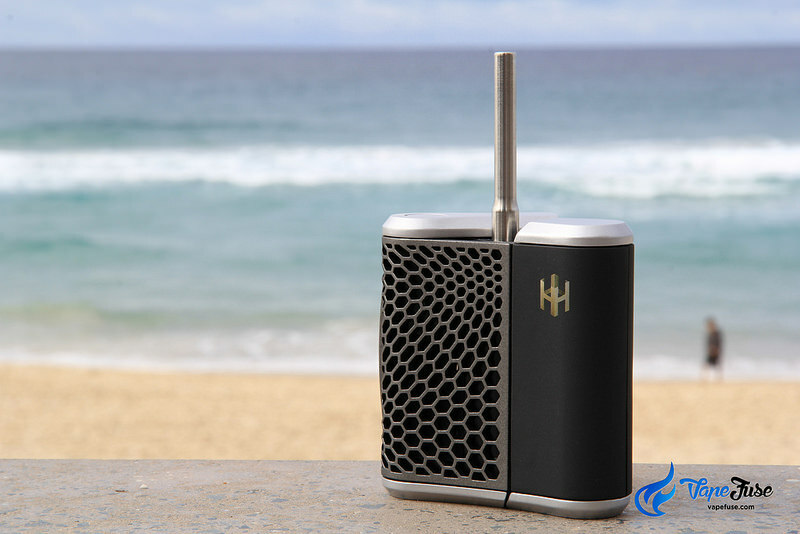 If you are after a portable vape that can offer you more than the basic vaporizer feature, Haze is a great choice for its versatility. An accessory that connects the whip to the device. 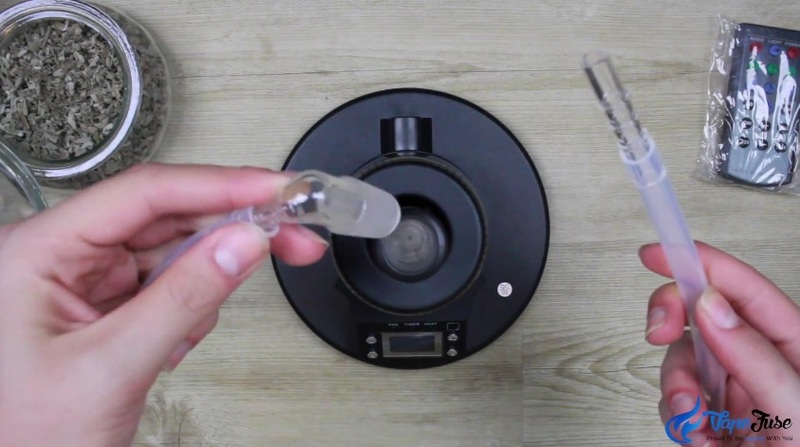 The Arizer Extreme Q and V-Tower desktop vaporizer come with this part, which is made of high-quality food grade borosilicate glass and includes a screen. It is designed to withstand heat and doesn’t break easily. Glass materials can get dirty or discolor over time with use. Make it a habit to clean them to keep their clean, brand new look. This type of screen comes with fine holes that ensure tiny particles don’t pass through as air goes through it during the vaporization process. It is made from heat resistant medical grade material. Screens are one of the most used parts in vaporizers. Usage can result to resin build over time, so it is recommended to periodically replace this part to keep that high-quality vapor production. A tube made out of hand-blown glass, designed to resist high temperature and to provide a fresh, clean feel of vapor inhalation. Glass Aroma Tube is used with the Arizer Air & Solo portable vaporizers. Vapor that passes through the glass tube can produce resin and makes it dirty with frequent use. Make it a habit to clean these glass parts to prolong usability. 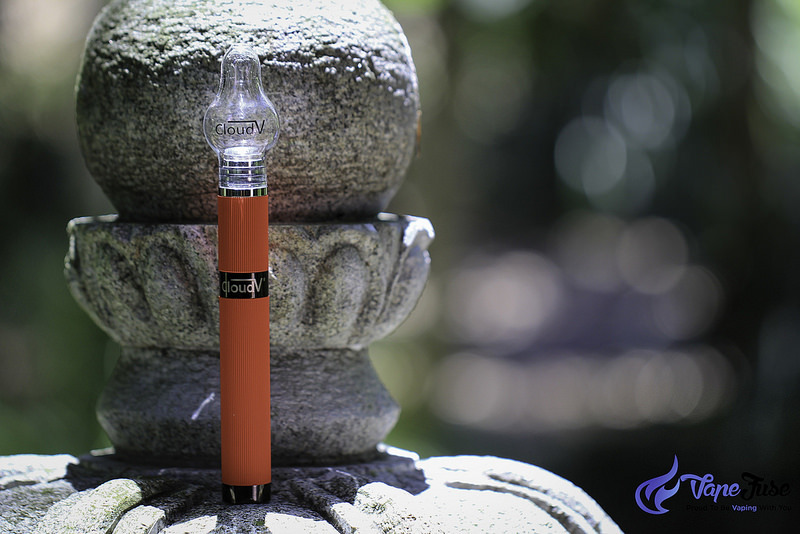 A hand-crafted round glass made by CloudV for its Phantom Premium and Mini portable vaporizers. The Glass Globe lengthens the vapor path, hence it adds coolness to the vapor before it reaches your mouth. It is also a perfect alternative to the plastic mouthpiece of the CloudV Phantom Premium and Mini for the clean glass feel when you take a draw. A device to crush or grind spices and herbs into small or tiny bits and pieces. 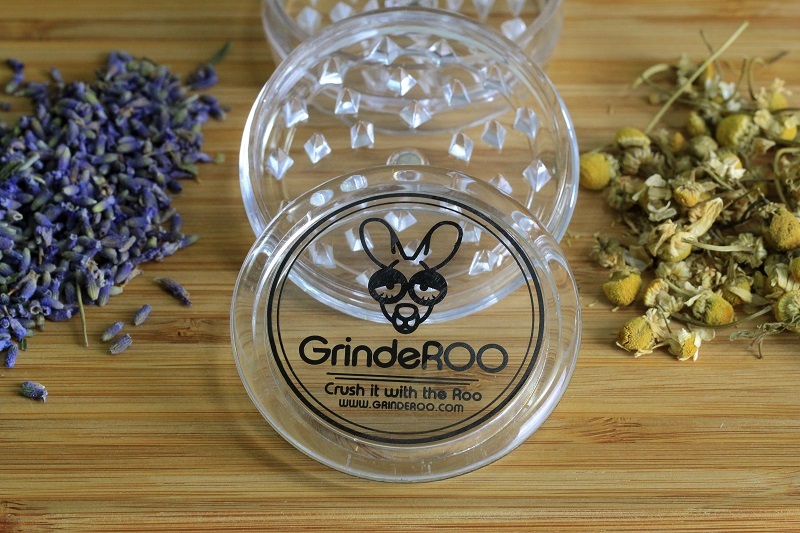 Choosing the perfect shark tooth Grinder is very important to get that needed consistency of the herbs fit for an effective vaporization process. Finely ground herb is essential and highly recommended for your vaping sessions. Typically, a grinder consists of two-three (2-3) pieces that can be separated and contains ‘shark teeth’ or pins that are aligned in such a way that when the parts are turned, the materials that were placed inside are shredded effectively. Hemp or Industrial Hemp is a herbaceous plant that is known to be under a variety of Cannabis called Sativa. 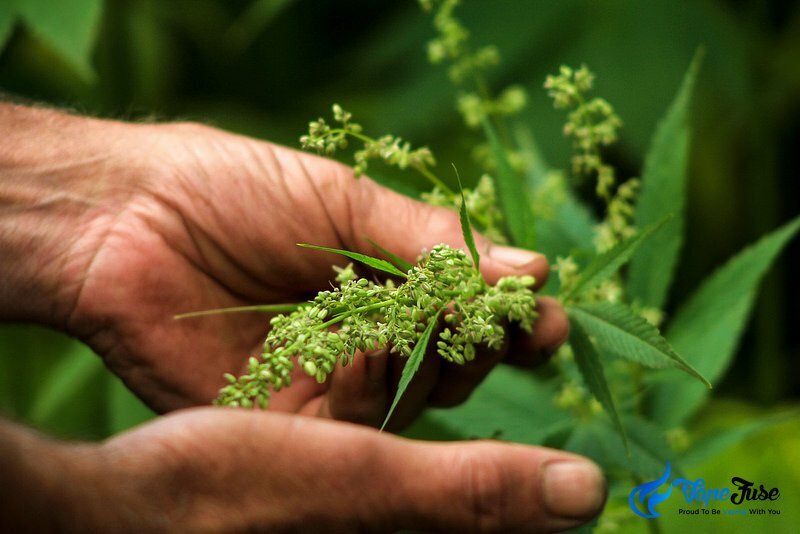 Although it belongs to the same family, Hemp is different from the generally known marijuana, due to its very low THC content, the known psychoactive compound of cannabis. In history, hemp has been made a lot of contribution to humanity with its fiber and fruit. It is estimated that it has 50,000 commercial uses (an amazing feat for just one plant!). Its fiber was and still being used for textile, paper, rope and even fuel. While the fruits of Hemp plant, popularly known as Hemp seeds are nutrient packed that makes it a superfood and can easily be integrated with any food regimen. Learn more about this amazing plant here. 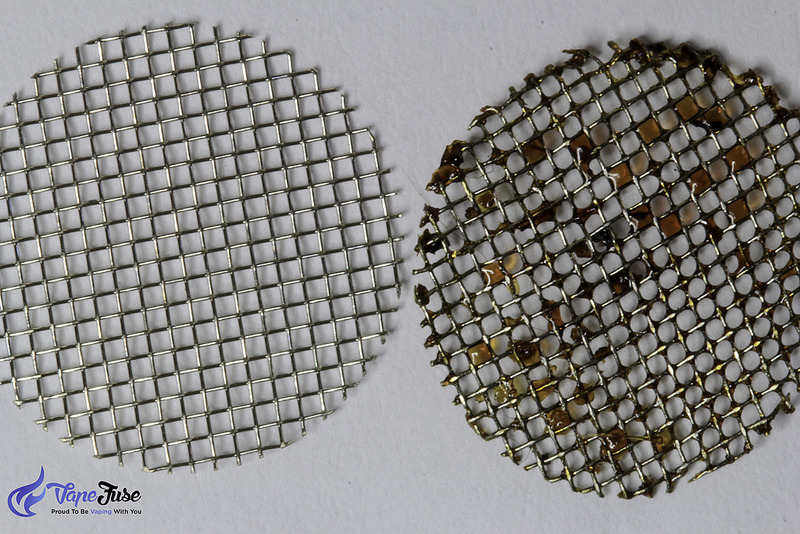 These are interwoven strands of metal (stainless steel or sometimes brass) or fibre that looks like a net to serve as a barrier or for sieving. 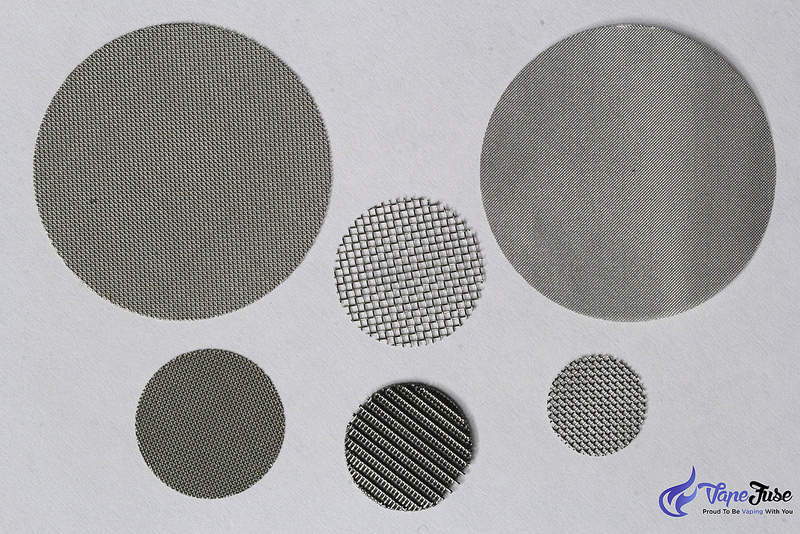 Most vaporizers use mesh screens as they do a good job of keeping the materials in its place as well as for airflow. Screens with fine holes allow the use of finely ground up materials to vaporize (with herb particles not getting into the vapor during draw), however these need to be cleaned more often and they can easily get blocked. Some vaporizers offer the option to choose different types of mesh screens to use like the Storz & Bickel with their Volcano desktop vaporizers. A mouthpiece is where a vaper takes a draw. It is the vaper’s connection to the vaporizer. Therefore, the mouthpiece needs to be clean and free of cracks or even scratches for hygiene purposes. Cracks and scratches can be breeding ground for bacteria that can affect your vaping experience. The vaporizer’s Mouthpiece comes in different styles and materials. It can be made of food-grade high-quality plastic or silicone, stainless steel, rubber or glass. Glass mouthpieces are very popular due to the clean, fresh feel in every draw. They are also easy to clean. 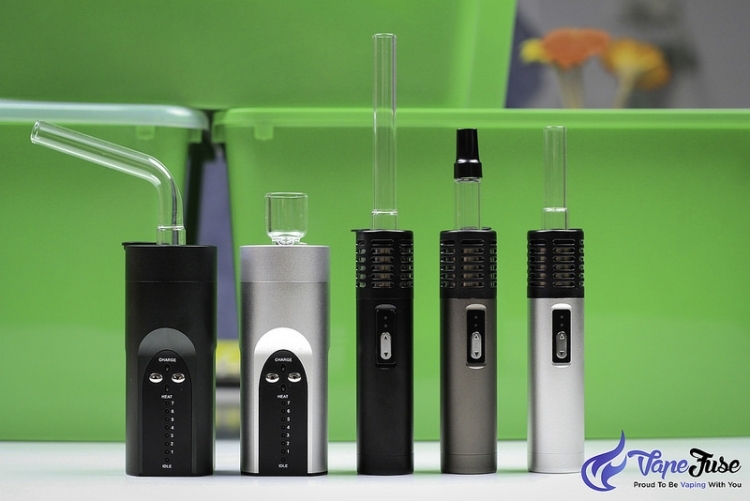 Some vaporizers with glass mouthpieces are the Flowermate line, Arizer portable vape kits and FocusVape range. 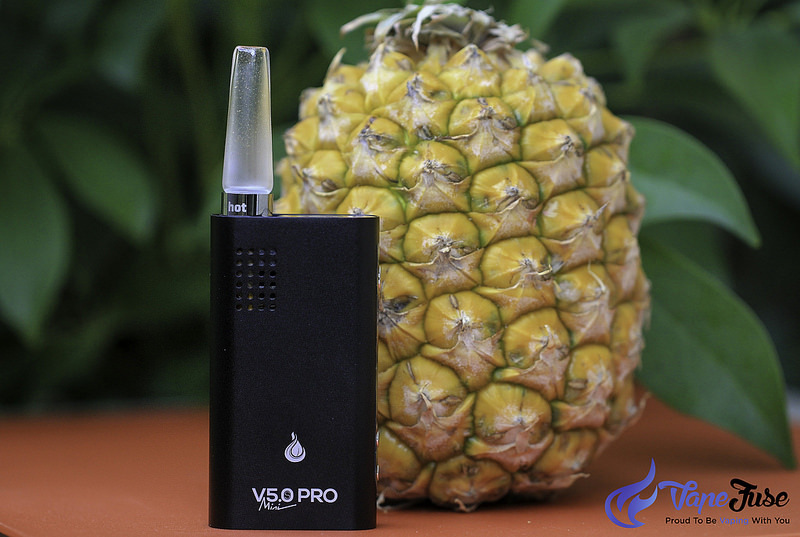 A vaporizer that is easy to carry or a smaller version. With our busy lifestyle, portable is the thing. The same goes with vaporizers. 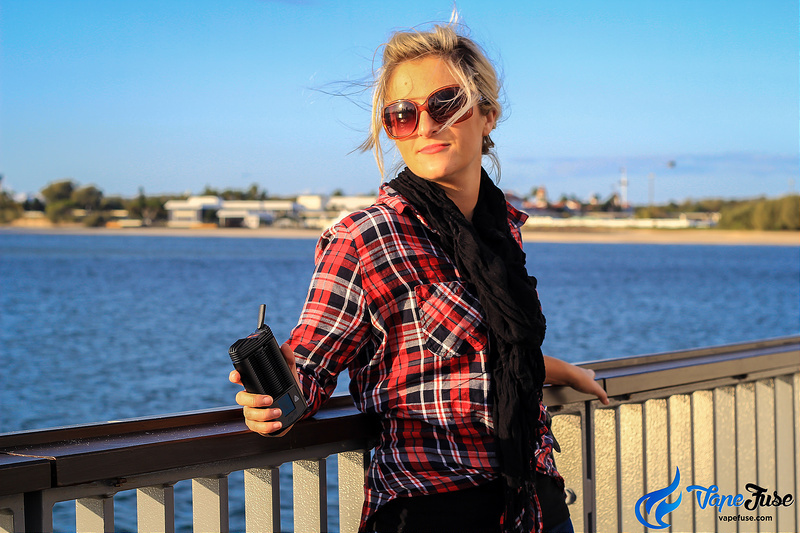 Portable vaporizers are lightweight and compact, designed to be carried around for “on the go” vaping, utilizing battery or gas to power the device. These devices have smaller chambers, so a refill can be frequent depending on usage and the battery needs to be charged as well. 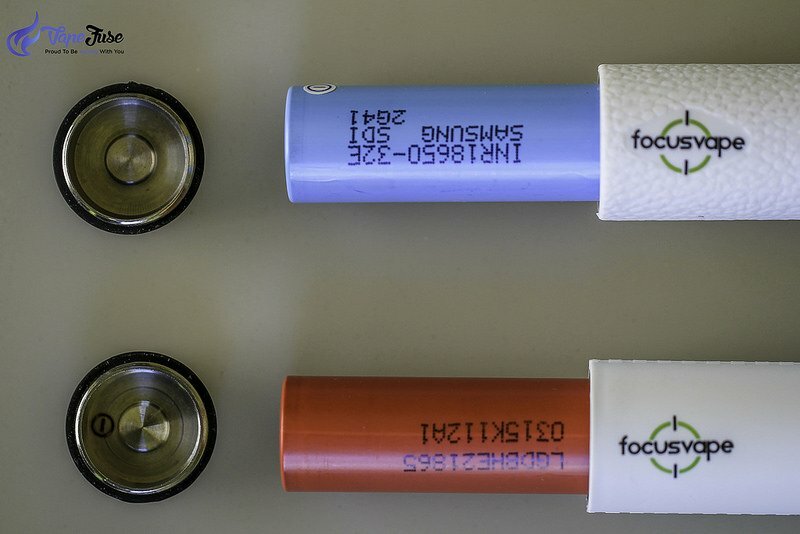 A battery that has the capability to be electronically charged by connecting to a power supply. Many portable vaporizers come with a rechargeable battery that can either be built-in or removable. It is important to use only the provided charger that comes with the device to ensure the required power charging requirement of its rechargeable battery. 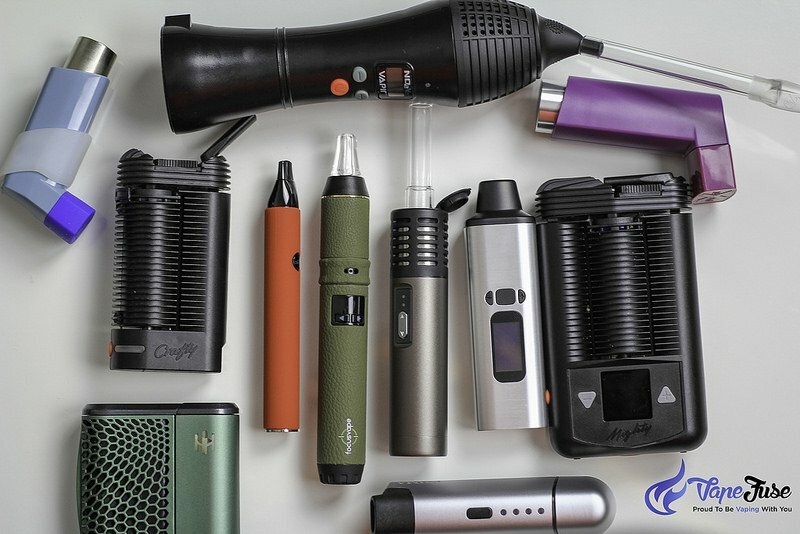 Some devices with built-in batteries like the Arizer Solo and Storz & Bickel Crafty can be used even while charging with their pass-through charging technology. Meanwhile, portable vaporizers with removable changeable batteries come handy when you are travelling far and no access to electricity. With this type of battery, you can purchase spares ready to be used when the battery gets flat while you are out and about. 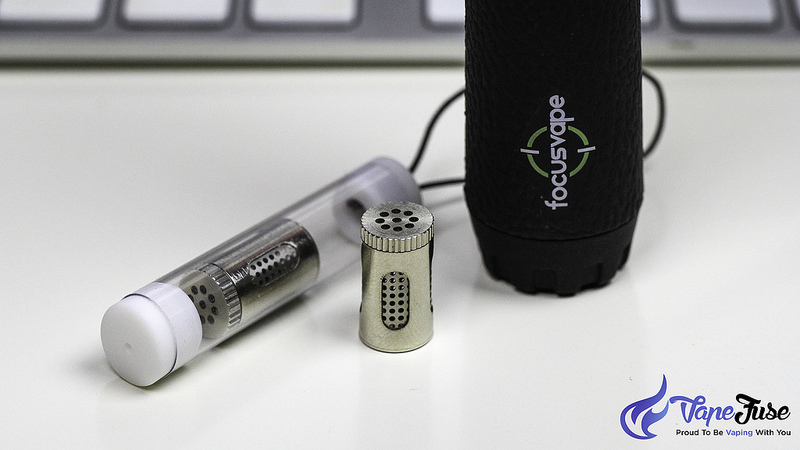 The FocusVape, Haze and WOW are just some of the devices that come with removable battery. Temperature control is the button(s) use to turn on or increase or decrease the heat level of the vaporizer. 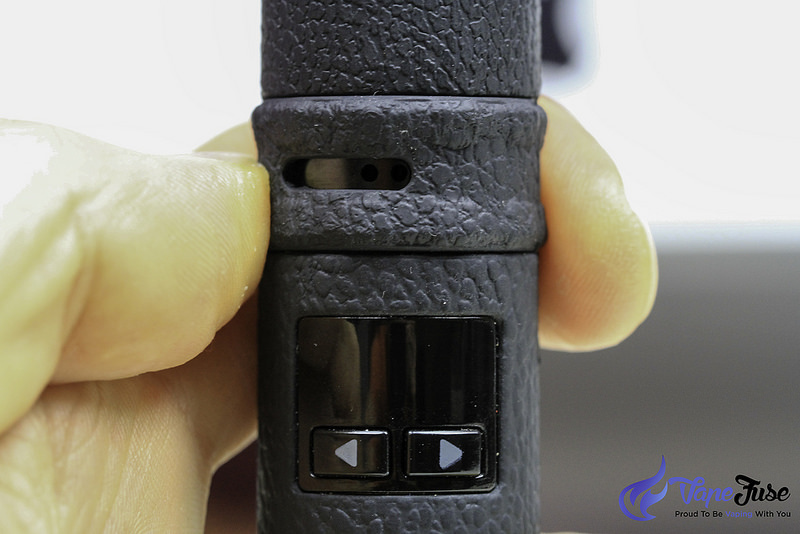 The CloudV portable vaporizers mostly come with a single multi-function button to turn on and change the temperature setting. Desktop vaporizers come with +/- buttons for increasing or decreasing the temperature level, while some have an extra button for turning on the heat aside from the +/- buttons. The Storz & Bickel Crafty’s temperature can also be controlled via your smartphone using their free app. 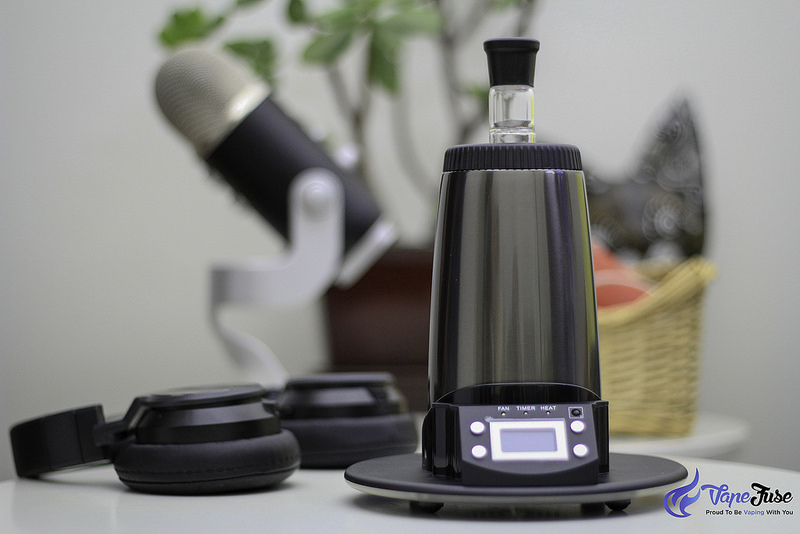 With vape technology advancing, many vaporizers come with a digital display along with the temperature buttons to have a clear view of the temperature level when the device is used. Vape is the slang name or short for vaporizer but if it’s used to mean an action then it refers to the act of vaporizing. A vape or vaporizer is an electronic device that is used to heat up materials like dry herbs or liquid to produce vapor, which is being inhaled by a vaper or someone who use the vape. In 2014, the term Vape was named by Oxford Dictionary as the word of the year due to its popularity. 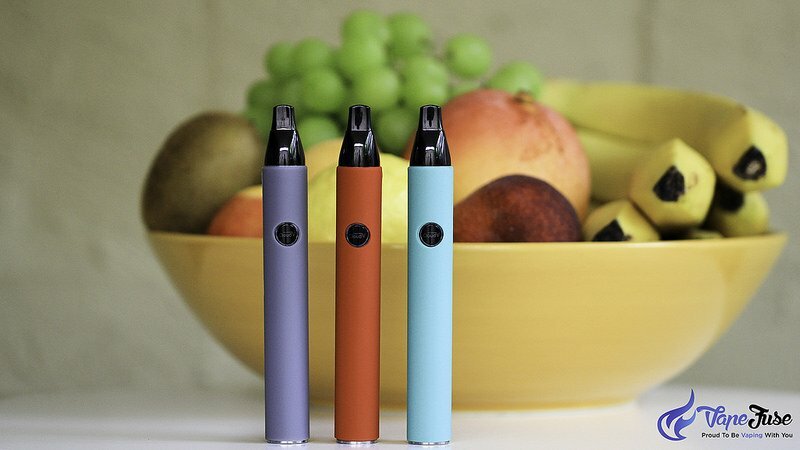 These are portable vaporizers designed to look like a pen. They are very discreet and ultra compact, great for on the go vaping to get that quick fix as you go along your busy day. Vape pens can be easily slipped into the pocket for easy access during short breaks. An individual who uses vaporizers for medication or recreation purposes. 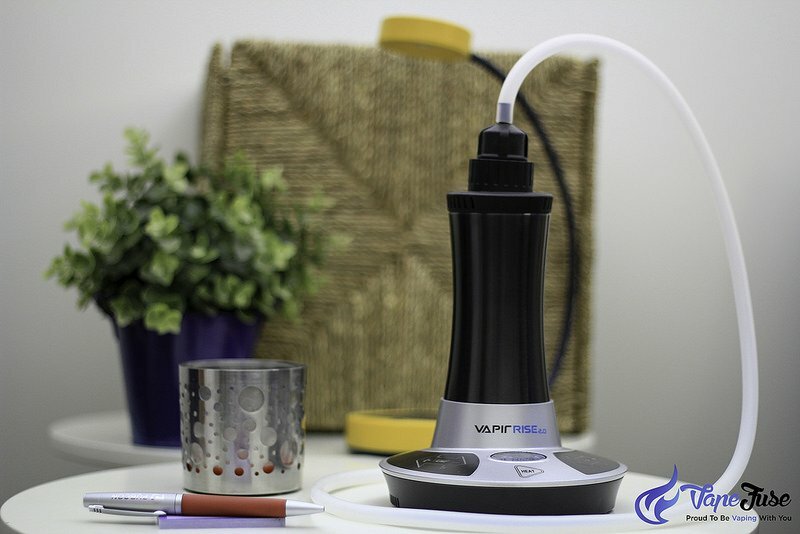 Vapor is the substance produced when dry herbs, waxes or concentrates are heated and reach their boiling point (the process of vaporization) but without reaching the point of combustion. A silicone plastic tube used in inhaling vapor from desktop vaporizers. These tubes can vary in length to provide more freedom of movement for the user. 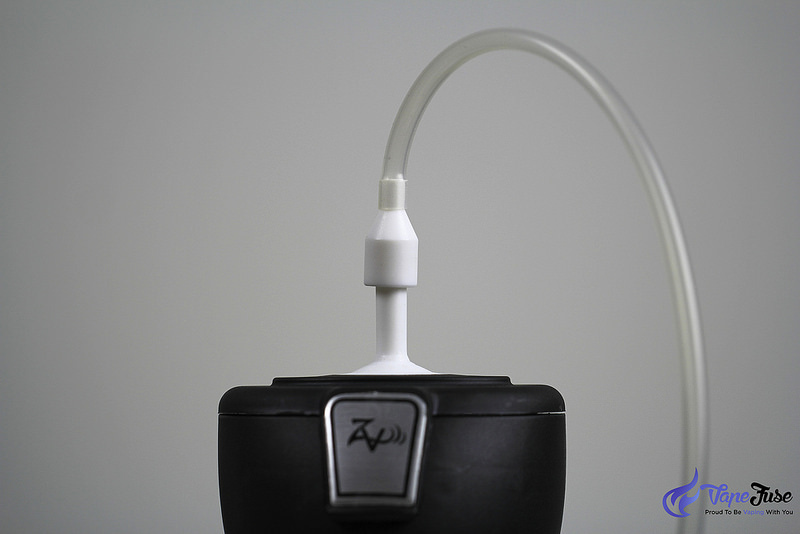 Whip is another method of inhaling the vapor produced by a desktop vaporizer aside from the balloon method. This style of taking a draw is great if you usually vape alone, as you have full control over the quantity of vapor you produce.